Since 1977, the Utah Valley Parade of Homes has been an annual showcase of new, high-end, and designer homes located throughout Utah Valley. The self-guided tour has featured the area’s finest builders, developers, and remodelers who aim to showcase the most innovative ideas and the newest trends. 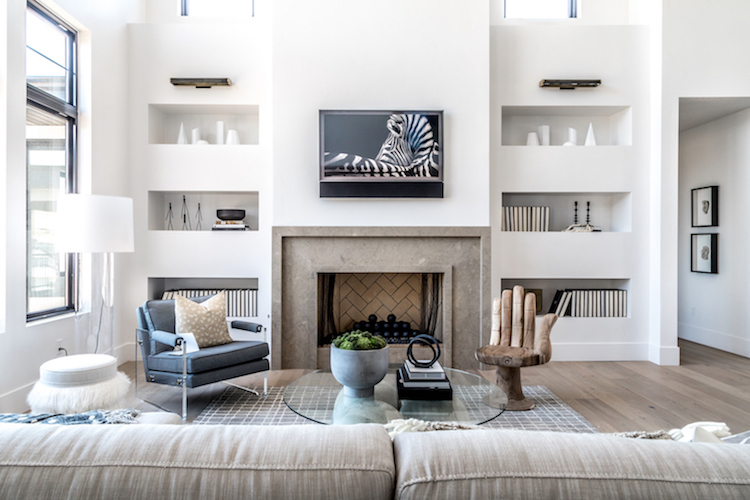 This year’s 41st event included 33 different homes ranging from 2,621-square-foot $200,000 homes to behemoth 13,000-square-foot $2 million residences. One parade home in particular had to blaze a new trail in home entertainment. The six-bedroom home boasted 9,000 square feet of luxury living featuring a home cinema and multiple areas that had to be entertainment ready before the home was even purchased and the homeowners moved in. To that end, Integration firm Tym – a longtime Utah Valley Parade of Home supporter and multi-award-winning integration firm – set about designing an AV backbone that would scale well into the future for any entertainment needs. Tym needed a flexible and scalable video distribution solution. 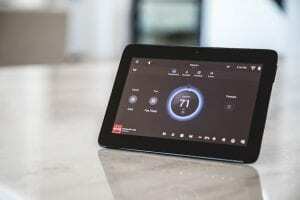 In addition, the platform needed robust features that would support any entertainment area, from a full home theater to simple, display-only setups. To ensure a successful install, the company chose to use its go-to video distribution solutions provider Just Add Power (J+P). J+P’s Ultra HD Over IP is a scalable video distribution infrastructure. Engineered around a building block topology, the system allows integrators to build a scalable and cost-effective infrastructure to distribute video sources up to 1080p resolution or meet evolving 4K requirements by mixing and matching devices available within J+P’s wide portfolio of solutions. Every source is outfitted with a J+P transmitter that fits the source specifications and reliably distributes video to a small J+P receiver attached to any screen. The video signal can be scaled up or down based on the screen’s resolution. The setup for the parade included a 20×30-foot large projection home cinema with Sony 285ES 4K projector and one flat screen in the game room, great room, and master bedroom that also had to support surround sound. Three other displays throughout the home were installed with a sound bar. With J+P, it could 2-channel downmixing in areas where surround sound wasn’t being utilized. Sources included Kaleidescape, Apple TV, video feeds from the surveillance system, Blu-ray players, and two cable satellite receivers. With the J+P IP-based backbone, Tym was able to consolidate all the sources. No matter where the homeowner is at, this ensured the experience was the same. And just as they can just add a J+P receiver to any future display, the system also ensures that they can add more video sources with just another transmitter. The other critical component was control programming. The client selected Control 4 as their control platform using a tablet application. J+P’s is control agnostic, easily integrates with any system, and ensures a reliable user experience no matter what control solution is selected. Because of the distribution gear is centralized and neatly tucked away, the interface eliminated the basket of remotes for multiple video sources and freed the home of cable clutter and component furniture. Once the parade successfully wrapped up and the home owner moved in, Tym expected some phone calls from the homeowners to address any system changes.